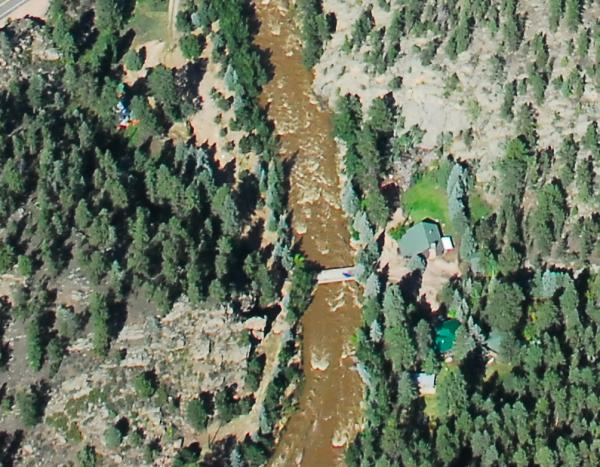 Things are not going well for my neighbors in Colorado and I would be very frustrated if I was there. For some reason the post office there has been closed half of the time it's supposed to be open, and folks can't pick up their packages. There is a partnership arrangement between the post office and shippers like UPS called Surepost. UPS delivers the packages to the post office, and then the mail carriers deliver via the usual mail routes. The postal service should like it, because it's more business for them, but when customers complain about the rapidly deteriorating quality of mail service in virtually every small town in our county, the excuse is that the postal workers are overwhelmed by the vast number of Amazon and other packages that are now funneled through the post office. They could barely keep up with their jobs before this started, and no new people were added once it did, so worker morale is at an all-time low. Postal service customer morale is likewise at an all-time low. Even though a lot of correspondence has gone paperless, there is still a good amount of important stuff that is mailed in hard copy, for various worthy reasons. It's simply not a good time to be expecting any mail. Up until this winter I didn't pay a lot of attention to the tourist town to the west of me 6 miles. I never shop there because it's too crowded in the summer, and in the winter I'm out of the habit. But I started being one of the admins for a Facebook group - Estes Park Living - and began paying more attention to what was going on up there. There are a few interesting political spats right now - a dispute over where the Senior Center should be housed, and someone sold some of the museum's artifacts on Ebay at some point in time, to name a couple of them. The senior citizen thing is interesting because the town wants them to move from their own building to the lobby of the new community center, which is not quite built yet. Parks and Rec was coveting their space, and has already moved in a bunch of their offices, but after some heavy sparring, now Parks and Rec has to move out, and they have two days to get it done. Meanwhile, the museum is trying to make a case for converting the Sr Center to a storage building for its collections, and there is a faction of parents who want to start a child care center in that same building. Last week it was discovered that if something besides the seniors and/or maybe the museum (for example the childcare center) went into that building, it would violate the deed clause from when that land was donated to the town. It says that if the land is not used for 'recreation or parks' the land reverts back to the heirs of F. O. Stanley (of Stanley Steamer automobile fame). Everyone is scared of that idea because back when they wanted to build a fire station on some of that land, they contacted the heirs and some of them wanted a bunch of money to not assert their right to overturn the deed and take the land away from the town. The fire station got built somewhere else because nobody was sure the town would win if they fought it. Same thing now with the childcare center, but some people are talking about re-contacting the heirs, hoping the avaricious ones might have passed on. I'm enjoying all the back and forth on this subject, might be sorry when it dies down, but something else will take its place. There's always the tourists to complain about. The ebay controversy is just gaining steam. Apparently no museum insiders - employees, family of employees, etc. can take the no longer wanted stuff and sell it, but the the policy doesn't ban former employees, or family of employees. Someone did sell some things on ebay a while back, but they recently changed their seller ID, which townsfolk are saying is strong evidence of a guilty conscience. I'm looking forward to hearing more about this. In my opinion, if the museum is getting rid of stuff, they should offer it to the locals because we'd treasure it, rather than casting it out into the wide world where it loses its historical context. My house from the air. It looks really remote and I think that's its charm too. We can see the edge of the main highway from our house, it's about 300 feet away, so we don't feel too far away from the world. We still get road noise, especially those loud motorcycles. When I lived outside the tiny village of Asher, Ok. the hot topic was chop shops and #### fighting. See how lucky you are to be near Estes Park. I have a feeling I'm going to get tired of the town politics pretty soon, will crank back my interest level some . so did the forbidden word start with f or s???? I see I was not allowed to use the correct term for chicken fighting. Ha ha...a little over zealous! The big blue one on the right? Next to the river? Funny how small towns are no different than cities--you should read about some of our 'fights' only it usually involves more/big money! It's to the south of that one you can see, trees around it, a greener roof. I'll need to post a new aerial showing the replacement for 'your' red cabin. Local politics is pretty wild, I guess. I'm surprised the museum doesn't put items up for auction if they don't want them anymore. Even inexpensive things would be nice for people to have. I wish I had a green roof. Tonight on Facebook three or four people are arguing about whether government employees (local ones) are overpaid and lazy. Feelings are hurt, generalities being bandied about. What started it is that the post office is losing peoples' mail, and packages are not being delivered when they are supposed to be.